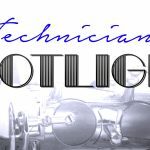 Our next technician spotlight focuses in on Gary Underwood of Underwood Music Inc. in Winter Park, Florida. 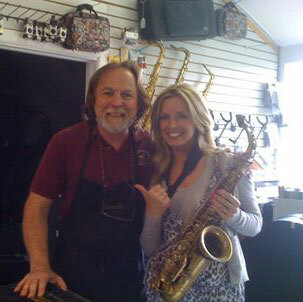 He’s been a friend and customer of ours for a long time, fabulous woodwind multi-instrumentalist, and he’s known for his professional sax and clarinet work. 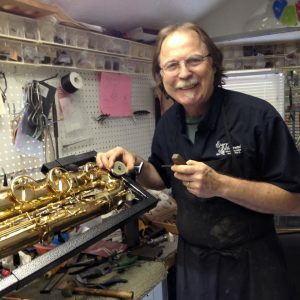 He began repairing instruments in the Army in the ’80’s before founding a repair shop with his wife Sheila. I started as a woodwind specialist in NYC. When we moved to Orlando, we expanded to all winds. 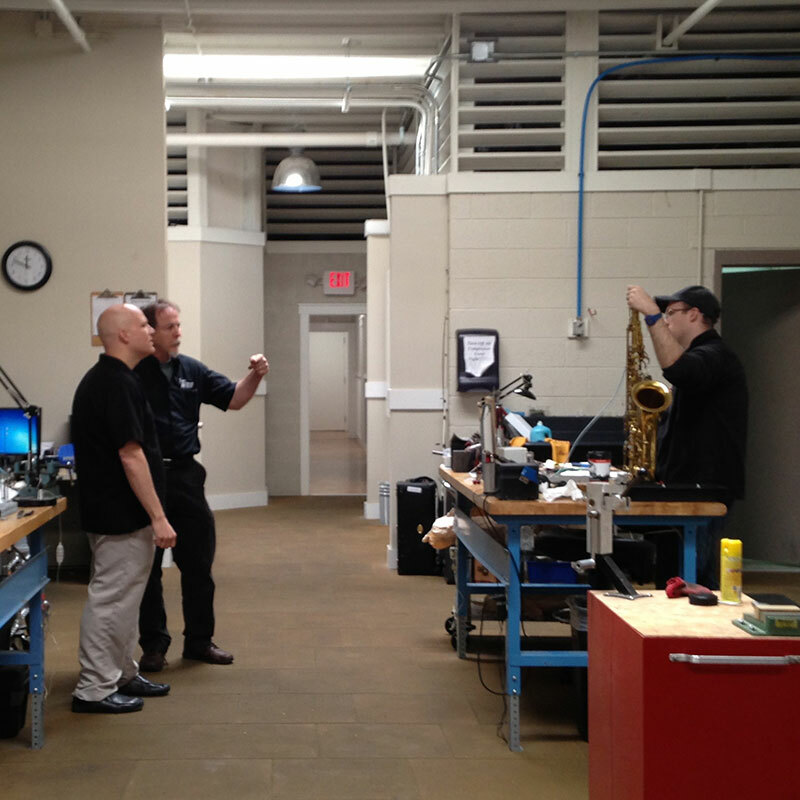 Currently, we are 4 technicians doing what we individually know best. 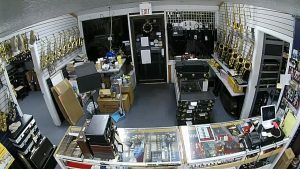 My son David manages the store, website, internet sales, and brass repair. 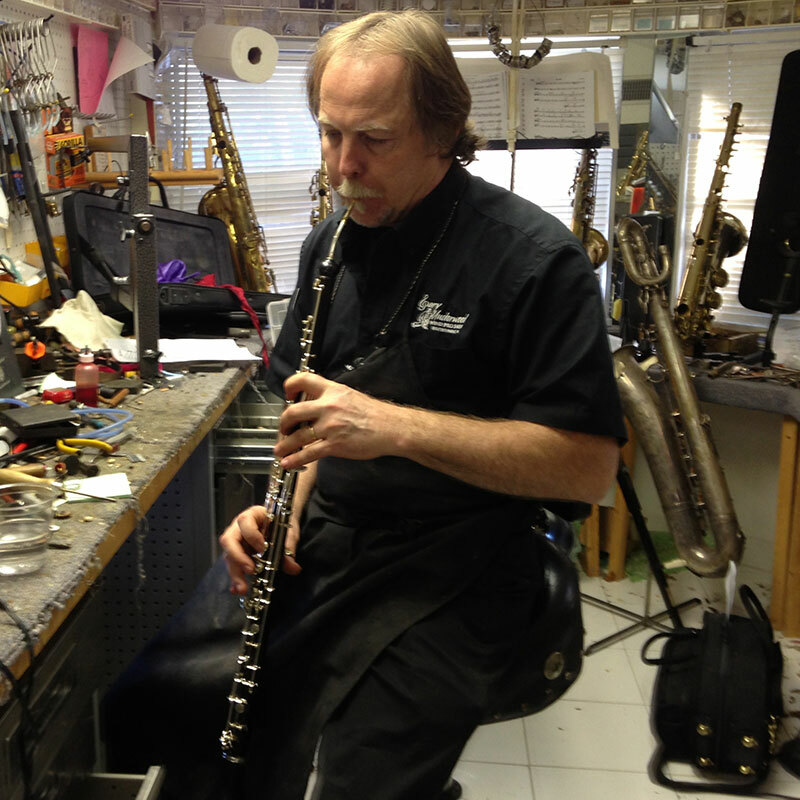 Flautist Maureen Russ is the newest tech, 7 years out of Red Wing, and is our Flute repair specialist but also doubles on brass and woodwind. My wife Sheila has assisted me since the Brooklyn days and keeps the business end in focus and on task. 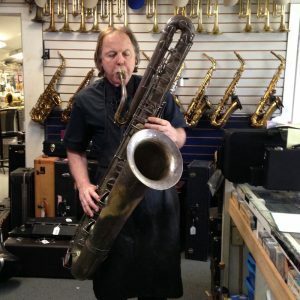 I do most of the high-end sax and clarinet work with help from Sheila, David, and Maureen. Our name and the quality of our work is most important to us. Saul Fromkin taught me to respect the instruments we work on. We are constantly looking for ways to improve our techniques with quality materials and thoughtful process evaluation. 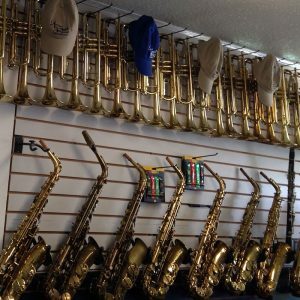 Player/collector – Over the last 35 years I’ve had an opportunity to collect a few vintage instruments. 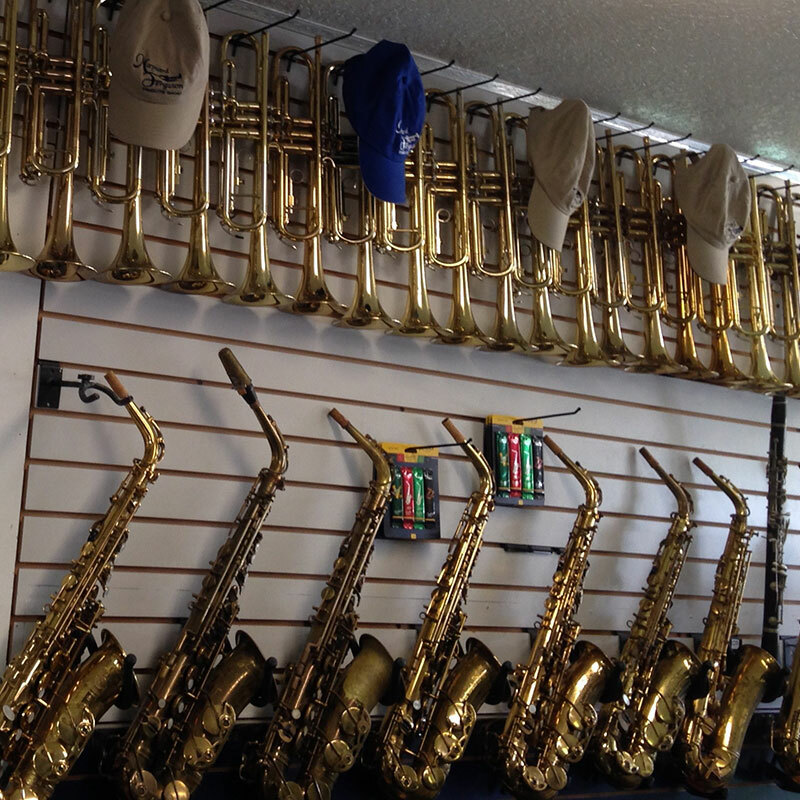 Sheila and I have some pretty rare horns in our collection, some of the rarest being a Sterling Silver Haynes Thermos Model Clarinet, a Buescher straight alto sax, and 2 Powell Silver Eagle alto saxes. Working with Phil Woods – I met Phil when I was in high school playing lead alto and clarinet, he was the guest artist for our Swing In ’73 jazz concert. After the first rehearsal, he asked if he could try my Boosey and Hawkes clarinet, to which I replied that he could but it wasn’t very good. He played a couple notes on it and handed it back and said, “you’re right, it’s not very good!” and laughed. After that we crossed paths many times, twice in college at Ithaca and Syracuse, and once not too long before he passed. I got to swap 4’s with him during a concert in Orlando. Working with Saul Fromkin in NYC – I was stationed as a sax player with the Army Band in Brooklyn in the early ’80’s. 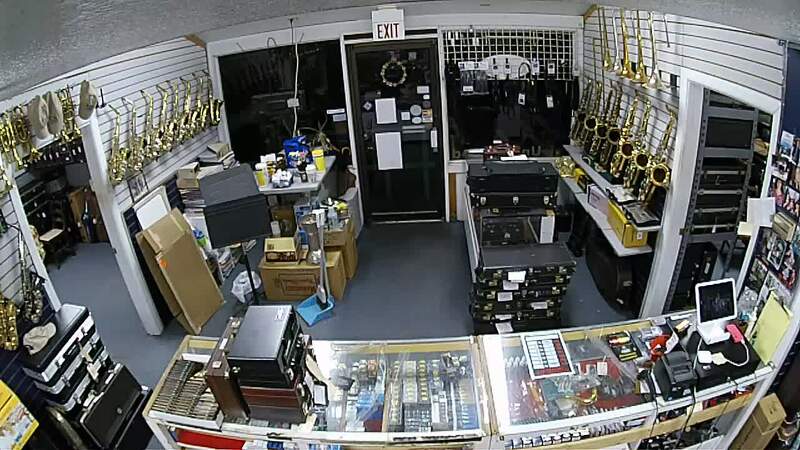 The band had a repair shop in the basement of the barracks/ rehearsal building and I was given the key and assigned to bring the horns in need of repair to Saul Fromkin. This was the start of a long friendship and mentor situation that changed my life. Saul was very giving of his knowledge and wisdom. I was honored when he showed up to a clinic I was giving in Longwood, FL a few years before he passed. 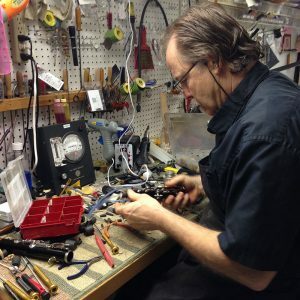 Tone hole leveling techniques – I can often be found at a NAPBIRT convention booth discussing tone hole treatment techniques with anyone who shows an interest. My pet peeve is tone hole over-filing. I try to preach a tapping technique that brings the tone hole to level without taking a bunch of brass away. Double resonating – One of my sax pad treatments is to put a thin flat resonator on the back side of the pad as close to the size of the cardboard backing that shows (up to the folded over pad skin). The second resonator keeps the rivet from pulling through and stiffens the pads center where the pad is sandwiched between the two resonators. Establishing a community of pro player/clients in central Florida – When I moved to Orlando, I joined the musician’s union. The president at the time had been tipped off that I was coming by one of my Broadway clients from New York. 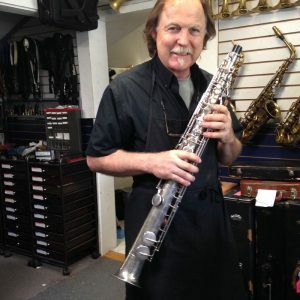 While I was filing out my paperwork, I was introduced to the leader of the Sax quintet and Disney’s MGM studios and that night I was working on his Muramatsu Flute. 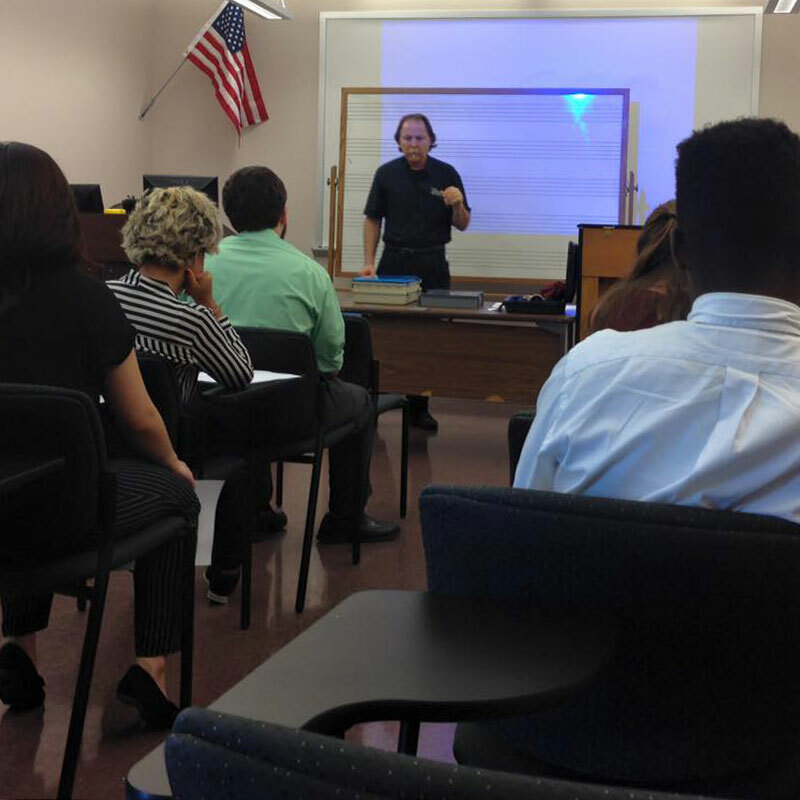 Between him telling the musicians in the break room and me playing in whatever bands I could get into; the client base was established. I met Rich at the Tampa NAPBIRT convention a few years ago. He asked me to rip a skin from a conventional leather pad in half and I did, it was easy! He then presented me with a Kangaroo skin to rip. The skin was tough and stretchy but wouldn’t rip. I’ve used them for my pro overhauls ever since. They are durable and can stand up the 6 sets a day that the players in the theme parks are playing.